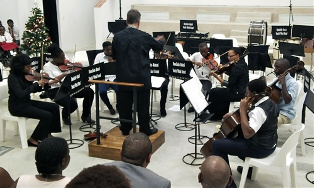 Over the past eight years the Durban Music School has brought entertainment to the Albert Park Community by hosting many Street festivals and community concerts. 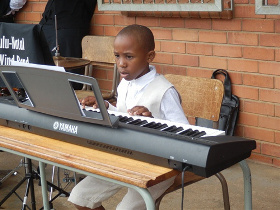 Every September on Heritage Day the street outside the school is blocked off and a full day of continual music and fun takes place outside the school. 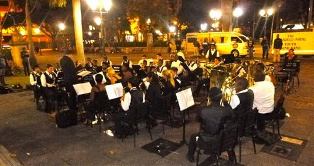 The ensembles from the school, our senior ensemble The KwaZulu-Natal Youth Wind Band, the Junior Wind Band and the String Ensemble, all perform and bands, choirs and music groups are hired to entertain. 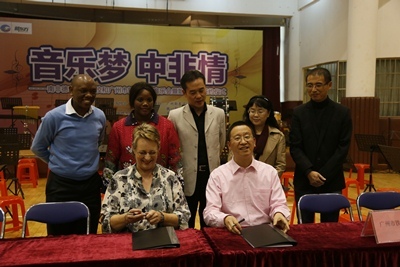 A wide variety of genres are always chosen to ensure that there is something for everyone. 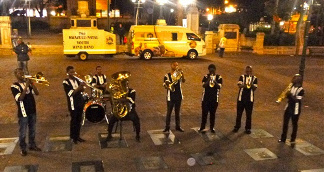 We have had the Steel Band, the Field Band, Army Band and various choirs perform as well groups performing classical Indian music and hip hop groups encouraging the audience to get up and dance in the street. The school invites 150 children to come and share the day with us and supplies a hamburger and cold drink for them. Last year we organized busses to bring 100 children from Inchanga to the festival so that they could enjoy a day of fun and also watch their friends perform in one of our choir ensembles, the Paw-Paw Foundation Choir. The string ensemble did a community concert for the Birdsongs Retirement home. 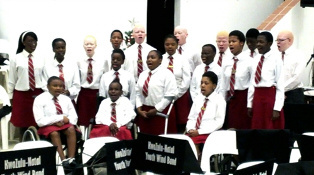 The KZNYWB performed an educational concert at Bonisinani Primary School in KwaMashu. 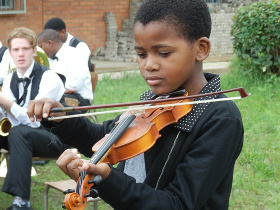 This is an important annual concert as we perform with learners who are taking lessons at DMS and it gives them a platform to show what they have learnt over the past year to friends and family. We held the ﬁrst concert in our new performance hall. This was our end of year concert and it was used to hear what the acoustics sounded like. 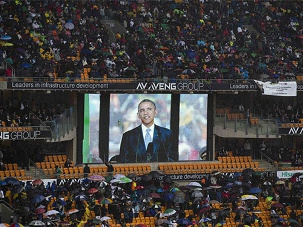 Unfortunately they weren’t acceptable and we are busy working on ﬁne tuning them at the moment. 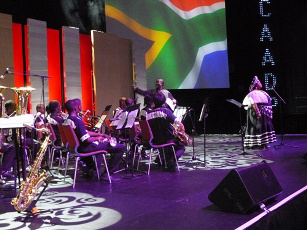 This concert showcased our various ensembles including a string ensemble, a ﬂute ensemble, a brass ensemble as well as our senior ensemble, The KwaZulu-Natal Youth Wind Band. The choir from The Open Air School also entertained us. 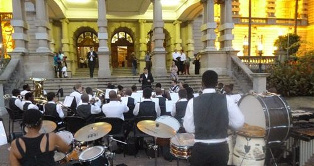 The Jazz band performed a concert at the ICC on behalf of the municipality for an Agricultural Conference. 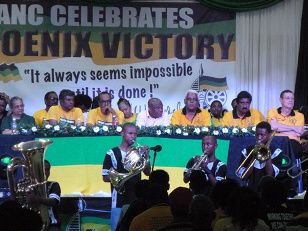 The Jazz Band performed at a community concert in Phoenix where the Premier was the keynote speaker.